A while ago, the guy’s over at UK-based Doayee launched a successful campaign on Kickstarter for their Nixie Tube Driver — a platform to quickly implement a 6-digit Nixie tube display into different projects. 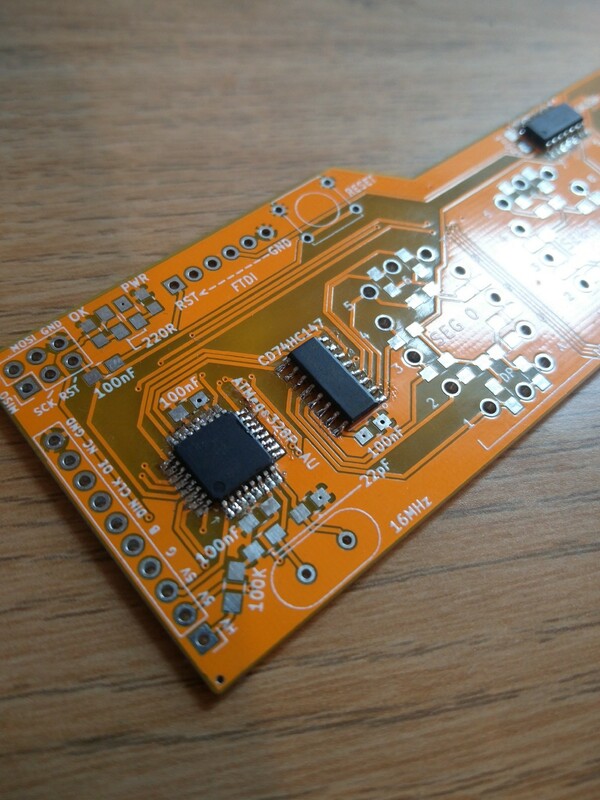 That driver relies on a custom PCB outfitted with Microchip’s HV5122 serial to parallel converter, and since building those boards by hand for those who backed the project would take forever, Doayee decided to outsource the production to a PCB assembly house. Of course, that also means you have to test each one before you ship it to customers. To handle that workload, Thom (of Doayee) designed an ingenious Nixie Tube Driver test jig — AKA a bed of nails, which tests each completed PCB automatically when laid on top of a pin assembly arranged in a pattern to mate with the specific points on the PCB. No need for alligator clamps or other attachments, and the jig runs through a series of tests looking for errors, which are relayed via UART if it finds any. The Nixie Tube Driver test jig was designed using a series of ICs that pull signals from the board being tested and sends them to an onboard ATmega328P-AU microcontroller that analyzes them for errors and lets users know in under 10-seconds what those errors are via LEDs. Thom offers a complete walkthrough of the Nixie Tube jig on Doayee’s project age, complete with schematics, for those interested in creating one of their own. 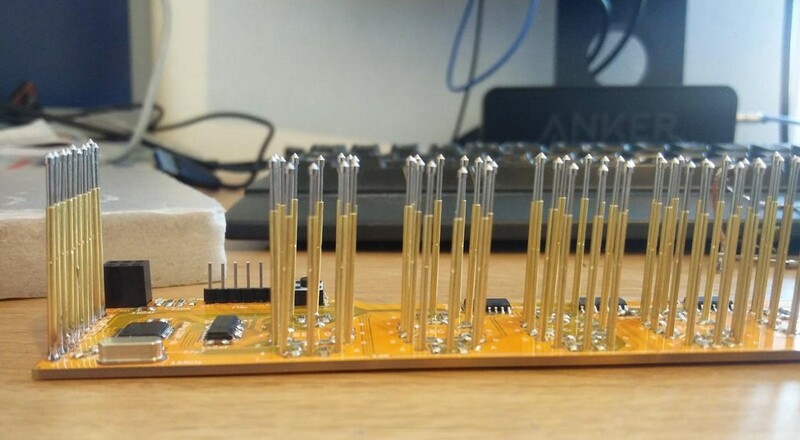 Test Nixie Tube Driver PCBs on a Bed of Nails was originally published in Hackster Blog on Medium, where people are continuing the conversation by highlighting and responding to this story.